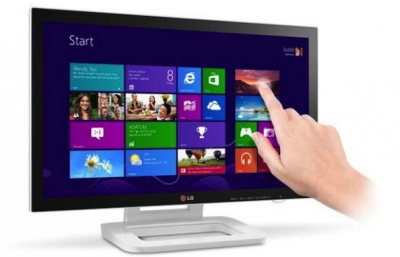 The types of complete computer monitor will be discussed on this occasion, Earlier I want to discuss the definition or understanding of computer monitors. There are several notions of computer monitors. 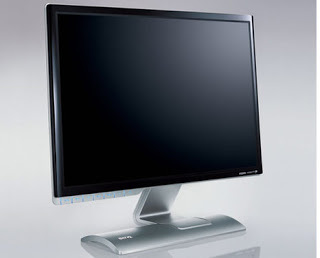 Computer monitor is a hardware device from one computer component that aims to display the output image or picture on a computer, as for the images to be generated from different types of monitors will be in accordance with their respective advantages. Computer monitor is a kind of device that seeks to expose the viewer output characters and / or images, either still or moving, which is run by a computer and processed by the graphics card. 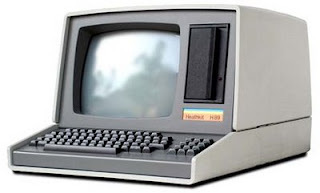 The computer monitor is one kind of soft-copy device, because the output is in the form of electronic signals, in this case in the form of images that appear on the screen. Images that appear are the result of data processing or input information. Monitors have different screen sizes like a television. Each brand and size of the monitor has a different resolution levels. This resolution will determine the sharpness of the image that can be displayed on the monitor screen. The types of monitors are now very diverse, ranging from large shapes with convex screen, until the thin shape with a flat screen. There are four types of monitors, namely Monochrome Monitor, Monitor Catoda Ray Tube (CRT), Liquid Crystal Display Monitor (LCD), and Monitor Light Emitting Diodes (LED). Each Monitor has the characteristics and history of its own. 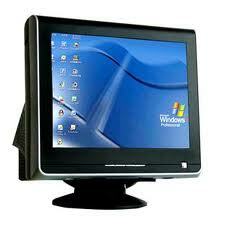 For More Clearly we will discuss understanding of the types of monitors with pictures so that you can understand. 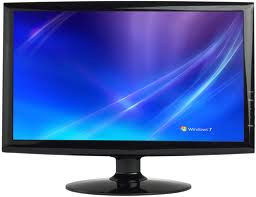 This monitor is a monitor that has a tube that produce electrons for the screen shot, so as to create an image on the screen as the workings of the television. This monitor is using port 15 pin with 3 rows. The workings of this monitor is to provide an electrical current stimulation from the outside to liquid crystal (material bipheny). So it will change the properties of light that is passed crystal. LED stands for Light Emitting Diodes, is a component that can emit light. LED is a product of the other findings after diode. The structure is also similar to the diode, but later discovered that electrons that hit the connection PN also release energy in the form of heat energy and light energy. Maybe we know that the word 'mono' means one. Well in this monochrome monitor that displayed only one color. For example, only green (like in the movie matrix). Of course the basic color (black) is not counted. But for the black count as a color on a monochrome monitor, would be confused by the term monochrome when called has 2 colors, the monitor should be referred to as a polychrome monitor. So the notion that a monochrome monitor is 2 colors I think is invalid. LEDs are made to be more efficient if off light. To obtain light emission in semiconductors, doping is the use of gallium, arsenic and phosphorus. Different types of doping produce different colors of light. At this time the color-color LED light that there is a lot of red, yellow and green. Blue LED is very rare. 2 Comment for "Types of Computer Monitor Complete with Pictures"
Try to choose the best computer monitor because it is important especially to me that I am working online and computer is my investment.